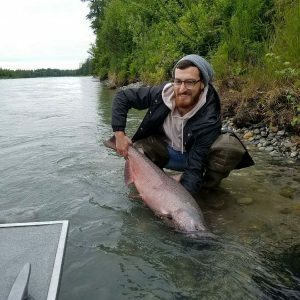 A fishing trip to Alaska means braving the untamed wilderness and all of the variables that come with it. Instead of having to fight to enjoy your time out on the water, take refuge in the covered and heated boats offered by Phantom Tri-River Charters. We’ll make sure that no matter the weather, you’re protected from the elements, allowing you to focus on what matters most: casting your line and reeling in that once-in-a-lifetime catch. In an effort to best serve our customers, Phantom Tri-River Charters offers both reserved and walk-in charter appointments. No matter if you’ve been planning your experience for months of you’re simply looking to fish Alaskan waters on a whim. 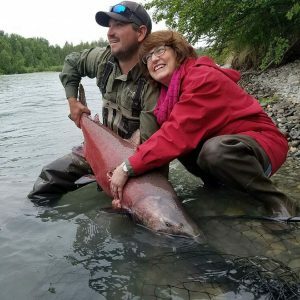 Looking for a true experience as part of your fishing tour in Alaska? Phantom Tri-River Charters offers drop off services so be sure and contact us for more information, or to book your spot on one of our drop-offs. 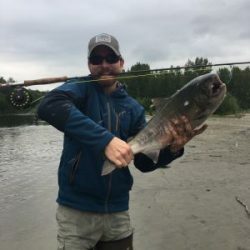 For the finest fishing tours in Alaska, provided by professionals who care about your experience, there’s no better choice than Phantom Tri-River Charters! We are Coast Guard Licensed and fully accredited to provide a fun and safe fishing expedition—so what are you waiting for? Call us today at 907-733-2400 to reserve your spot on our next expedition—we guarantee you’ll have an experience that won’t soon be forgotten.